Isaac Julien's films are included in screenings from 3-7 January 2017. Independent black British filmmaking saw an increased urgency and viability in the aftermath of South London’s Brixton Rising in 1981. In many respects this event—part of a series of responses to police brutality, corruption, and racist policies aimed at undermining the rights of Britain’s black population—was the first of its kind to unfold within the context of the BBC’s nightly news. 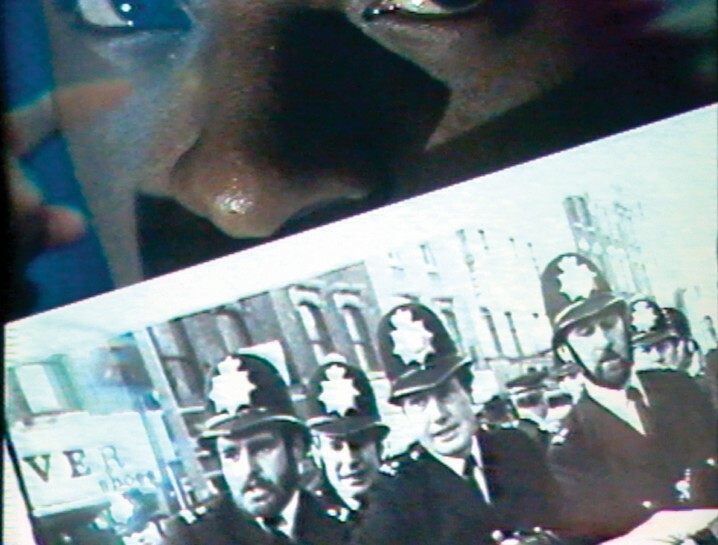 At an early moment in British television history, over the course of three days in April 1981, audiences were routinely exposed to images of dissenting blackness through the mediating lens of mainstream journalism; these images became inextricably linked to a series of representational codes that further underscored aspects of British society that had inherited and internalized systematic racial inequities. The depiction of black identity occasioned by the Brixton Rising was one of disorder, lawlessness, and rage—characterizations that continued in the months that followed with subsequent confrontations between protestors and police taking place in Birmingham, Liverpool, Manchester, and other cities. Image: Isaac Julien, Territories, 1984. 16mm film transferred to video, color, sound. 26 min. Courtesy of the artist.